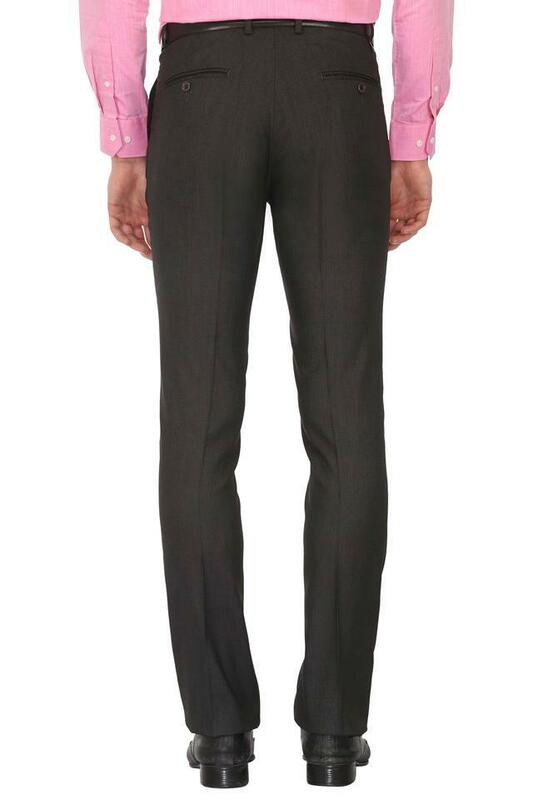 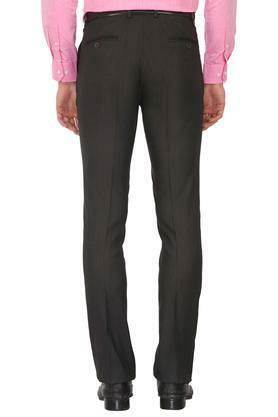 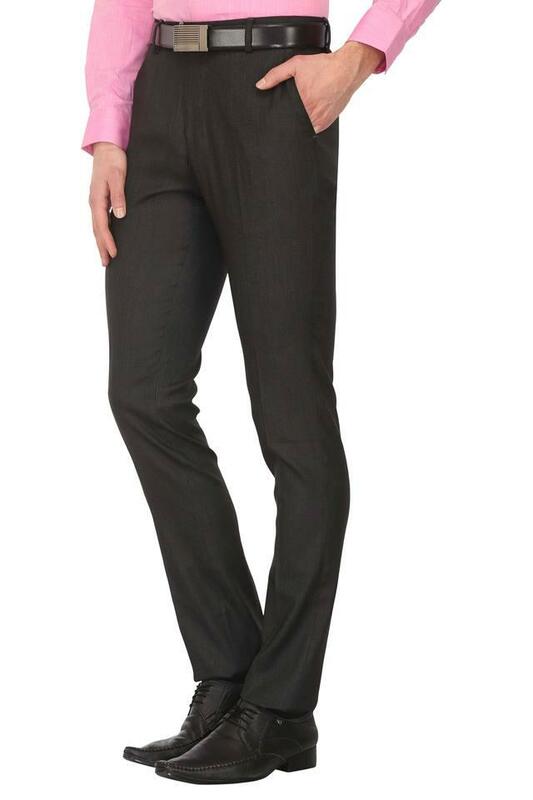 Be a style icon by wearing this pair of formal trousers from the house of Vettorio Fratini. Crafted from good quality polyester fabric, it promises to keep you at ease throughout the day. 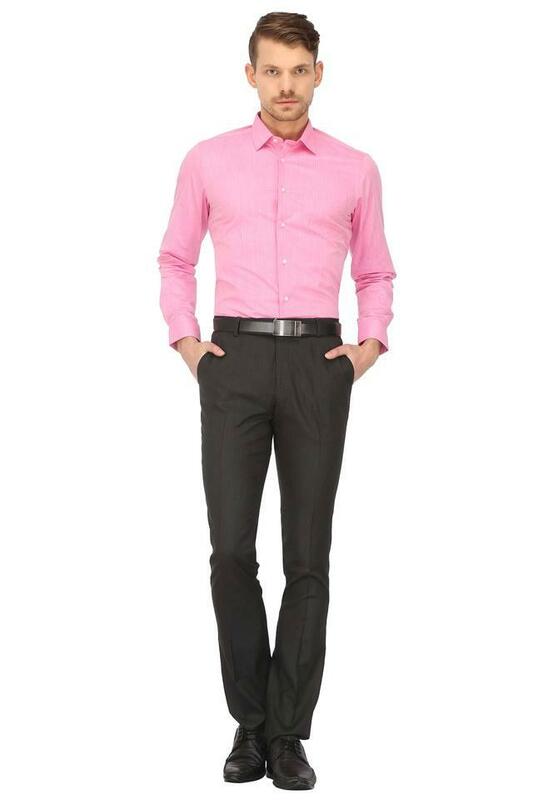 Besides, it has a slub pattern that lends it a classy look, while the zip fly closure makes it convenient to wear.